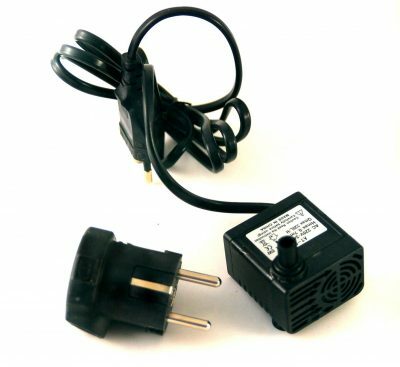 This listing includes a 220v-240v pump and its installation, including a European plug, in one of our fountains. Please note some countries may need to use an adapter for the plug. Please contact us if you have any questions. THIS PUMP IS NOT MEANT FOR THE USA OR CANADA. If you are in the USA or Canada and need a replacement pump please contact us. We will determine your needs and do a special listing for you. Customs fees, taxes, tariffs, duties, etc. that may be incurred at the time of delivery are not included in the shipping fees and would be at the discretion of your country’s tax regulations.